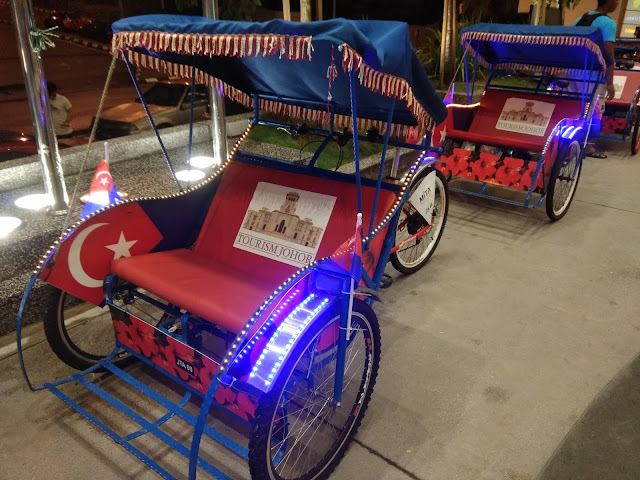 Visitors that visiting Johor Bahru now can discover the beauty of the city centre on trishaw rides(Beca) by the state Tourism of Johor , Our Journey started from Amari Hotel Johor Bahru passing the Street of Harmony . where several places of worship are located , the trishaw night rides offers tourists a different experience . 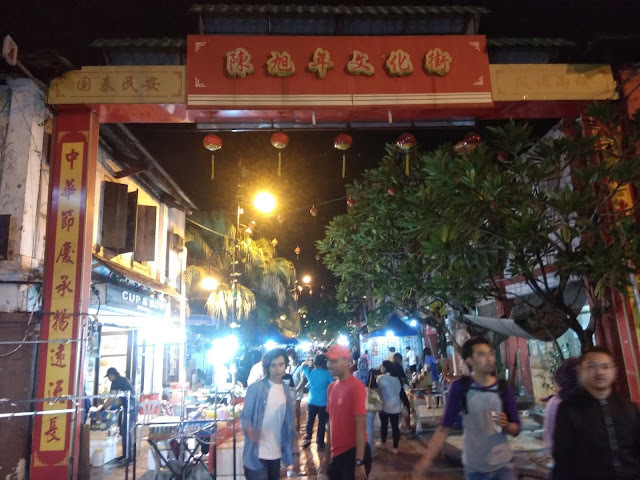 When you in Johor Bahru , get into this awesome ride by PS Holidays . 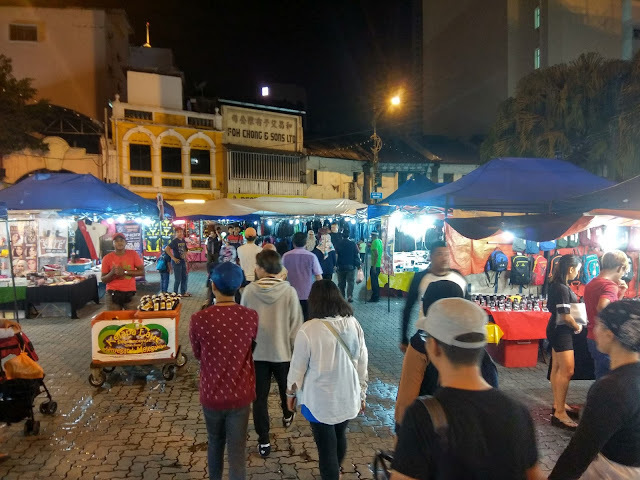 To promote the local tourism of Johor , This Beca are available for the locals and foreign visitors to appreciate the beauty of the Heritage Trail . 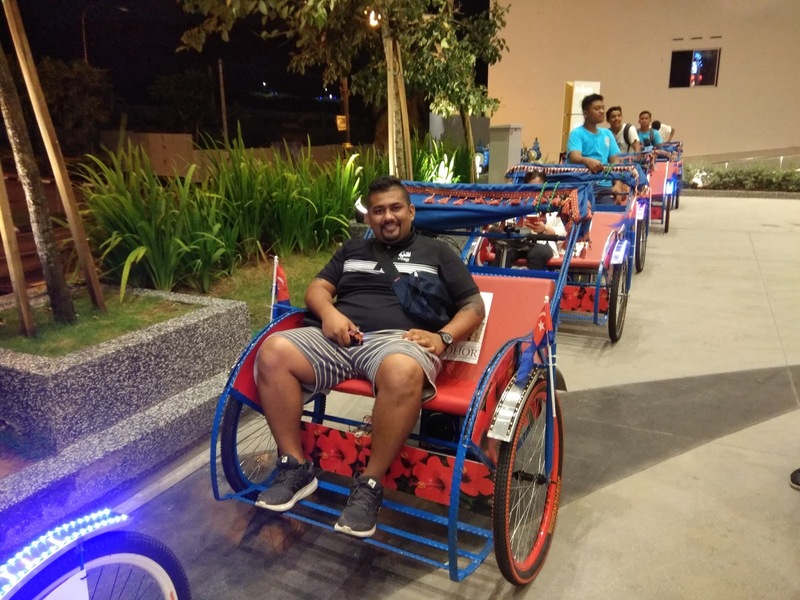 Affordable and worth for money rides , Uniquely of the Trisaw design is inspired by "kuda kepang" feature highlighting the cultural traits of Johor , Kuda Kepang is a malay traditional dance and The trishaw service run by young people from all races also provides them with business and employment opportunities . The service operating is at Amari Hotel from 5pm to 9pm daily , Price : 600 meter RM 15 a Trishaw for two pax and 2.2 km (30 minute) RM30 a trishaw for two pax . 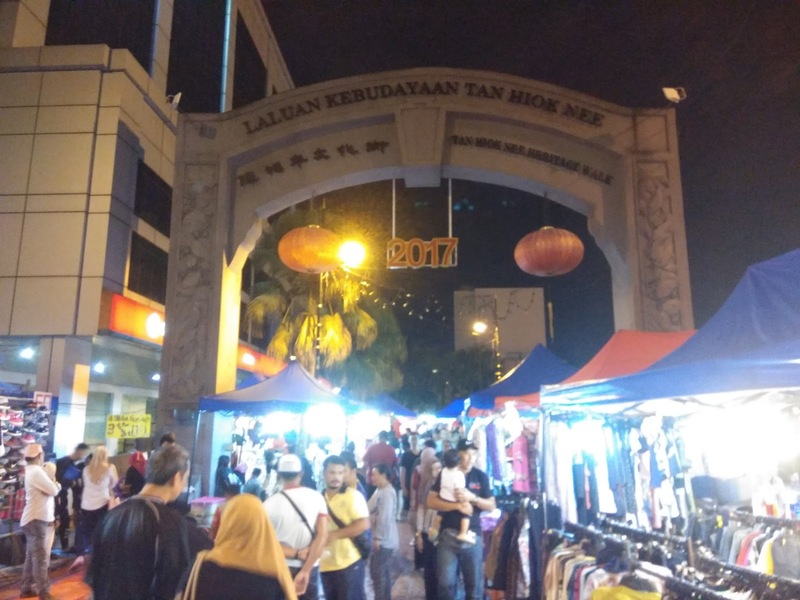 Covering Jalan Wong Ah Fook , Jalan Gereja and Persiaran Muafakat Bangsa Johor .